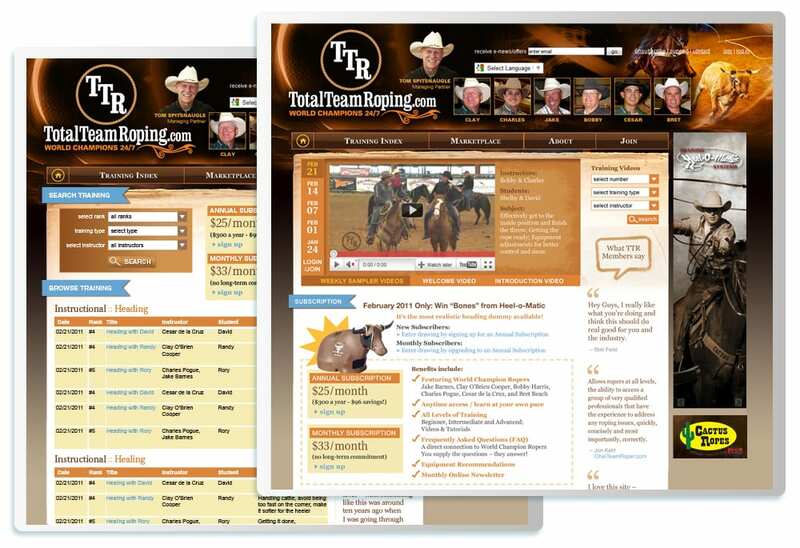 We branded and developed an online subscription-based training for the Team Roping sport. The system includes membership-only accessed streaming HD video library of world-renowned Team Roping champions teaching ongoing lessons categorized by topic and robust search and displayed on website and app (iphone, tablet and droid). TTR has grown into one of the most popular team roping training sites worldwide. Additionally, we provided marketing services — including collateral, e-newsletters and event marketing.